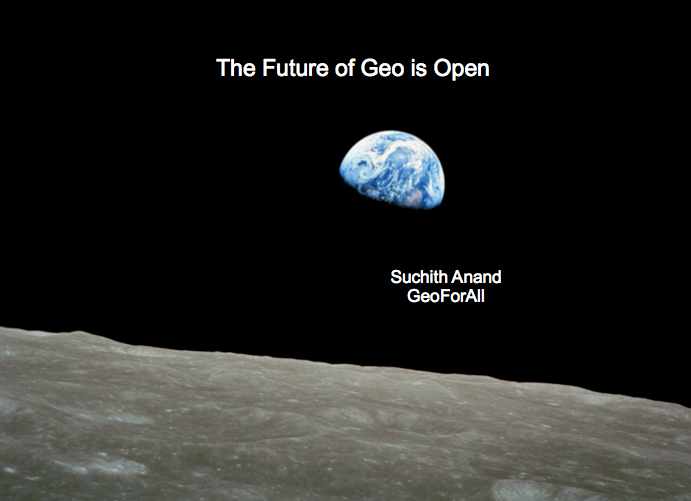 My keynote presentation will be on “The Future of Geo is Open” and I would like to invite ideas/inputs for this. It is also an good time to reflect on the developments in Open Geospatial Science ,, as it is over a decade now since we started working on the philosophy of Openness in Geospatial Science and Education. I am looking forward to discussing new ideas with you all at FOSS4G-Europe 2017. 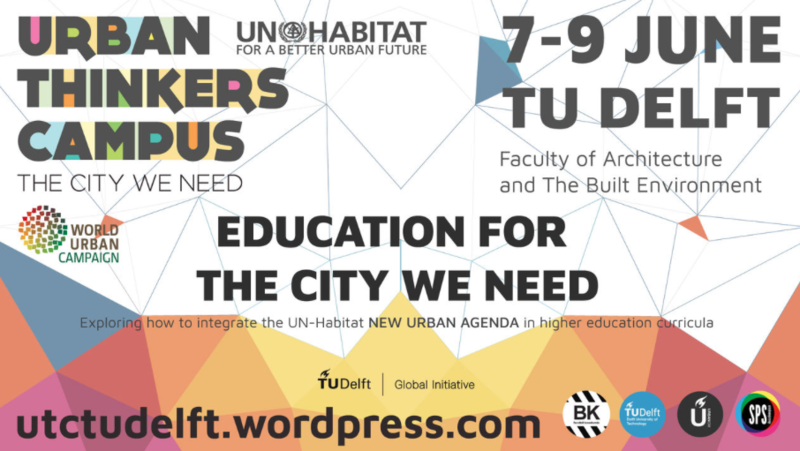 Education for the City we need – how to integrate the UN-Habitat NEW URBAN AGENDA in higher education curricula? 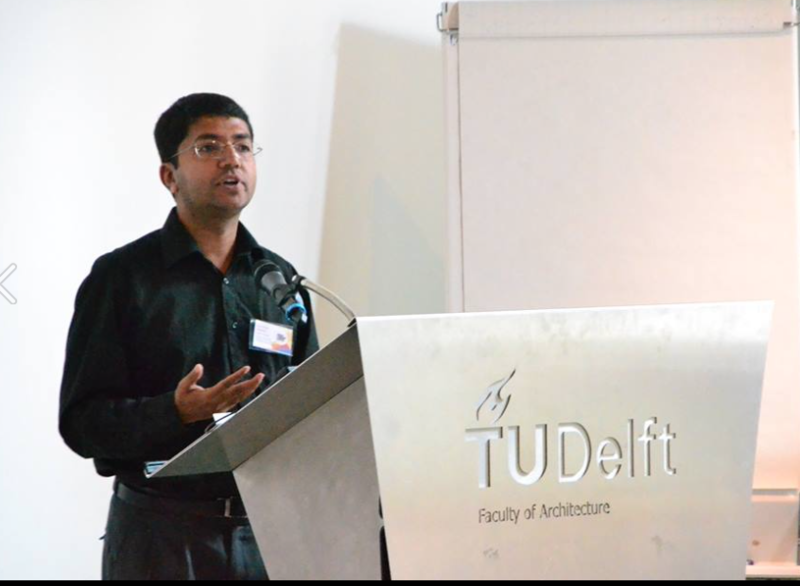 Last week (7 – 9 June 2017) TU Delft organised an Urban Thinkers’ Campus (UTC ) on Higher Education for the New Urban Agenda. The title of the UTC was “EDUCATION FOR THE CITY WE NEED”. A concept sponsored by UN HABITAT in partnership with the World Urban Campaign. The aim of the meetings was to explore how to integrate the UN-Habitat NEW URBAN AGENDA in higher education curricula. How do we prepare young professionals to understand and implement challenges related to the New Urban Agenda in diverse national and local developing environments? That’s the question the Urban Thinkers’ Campus aimed to answer. The New Urban Agenda is the outcome document agreed upon at the Habitat III cities conference in Quito, Ecuador, in October 2016 and signed by all the UN member states.This event brought together speakers and participants to discuss strategies, methodologies, literature and practical exercises that can be implemented in higher education courses in Europe and elsewhere. Our attention is on social, economic and environmentally sustainable urban development everywhere, but the challenges of urbanisation in the Global South are truly urgent. I would like to thank the organisors for the excellent initiative and for inviting me to share our ideas and the need for Open Principles in Education for “EDUCATION FOR THE CITY WE NEED”. I hope Open Principles in Education is firmly included in the education ideas for the future. I was particularly impressed by their work with students through NASA Europa Challenge . 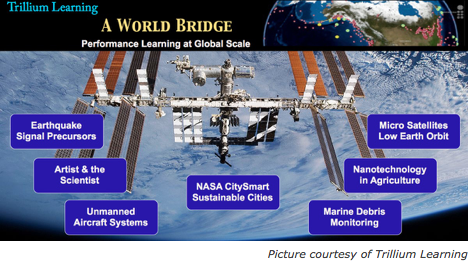 Alaska’s A World Bridge program in Kodiak won back-to-back NASA Europa – International Grand Challenges the past two years, competing against the world’s “Best and the Brightest” to generate solutions to societal issues that will benefit both the local and world communities. 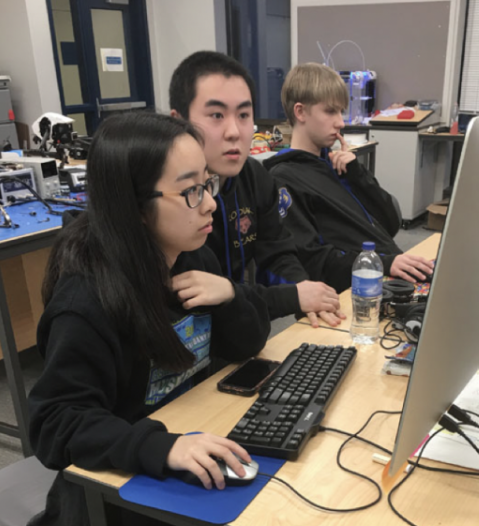 The competition includes top universities and commercial organizations – the 2015 Alaskan team represented the first high school to be involved in the competition. The Earthquake Signal Precursors (ESP) project (aka Global Earthquake Forecast System) is a revolutionary initiative that will advance the field of earthquake science using a dynamic monitoring system of earthquake precursor signals that have the potential to forecast imminent seismic activity. ESP can serve as a cornerstone to inform the community for the increasing risk of an earthquake. The current work monitors the Earth’s magnetic field for anomalies. These anomalies have been consistently shown to shortly precede actual seismic events by several hours to a few days. We thank Ron Fortunato who is a pioneer and innovator in the development and implementation of educational technology. He is one of the original five Christa McAuliffe Educators in the USA selected by the National Foundation for the Improvement of Education, and a NASA Space Ambassador for the United States. His understanding of teaching and learning processes, real world project-based learning and program implementation enable him to design and produce effective learning environments. Thank you Ron and WorldBridge Team for making possible. It is important that we can share these amazing ideas with all, so that it keeps building more synergies. We are a global community and it is this global perspective which gives us strength. It is important that we highlight and share ideas from colleagues in different parts of our home planet. Currently, nearly 800 million people struggle with debilitating hunger and malnutrition and can be found in every corner of the globe. That’s one in every nine people, with the majority being women and children. The Global Open Data for Agriculture and Nutrition (GODAN) supports the proactive sharing of open data to make information about agriculture and nutrition available, accessible and usable to deal with the urgent challenge of ensuring world food security. 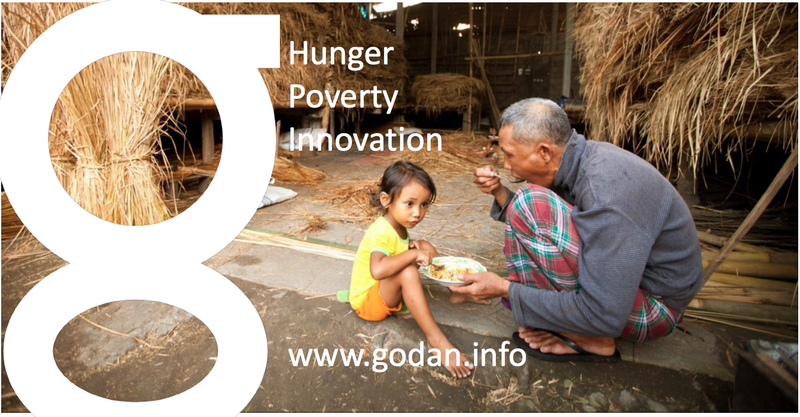 A core principle behind GODAN is that a solution to Zero Hunger lies within existing, but often unavailable, agriculture and nutrition data. 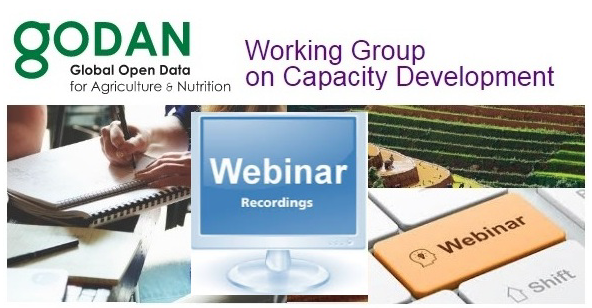 The second GODAN Capacity Building webinar was on “Publishing open data from an organisational point of view” and was lead by GODAN Action colleagues from the Open Data Institute  in London. Webinar Speaker – Dr David Tarrant joined the Open Data Institute from the University of Southampton where he was a Lecturer in the Web and Internet Science Group. David has over 12 years of experience with the open agenda including a PhD on measuring the impact of open science. Before leaving the University, David created the first undergraduate course focussing on open data science. This webinar will draw on content available in existing eLearning and in particular, will focus on the following eLearning modules available in the European Data Portal. We shall also be drawing on the following module to outline the importance of staying focused in publication activities. 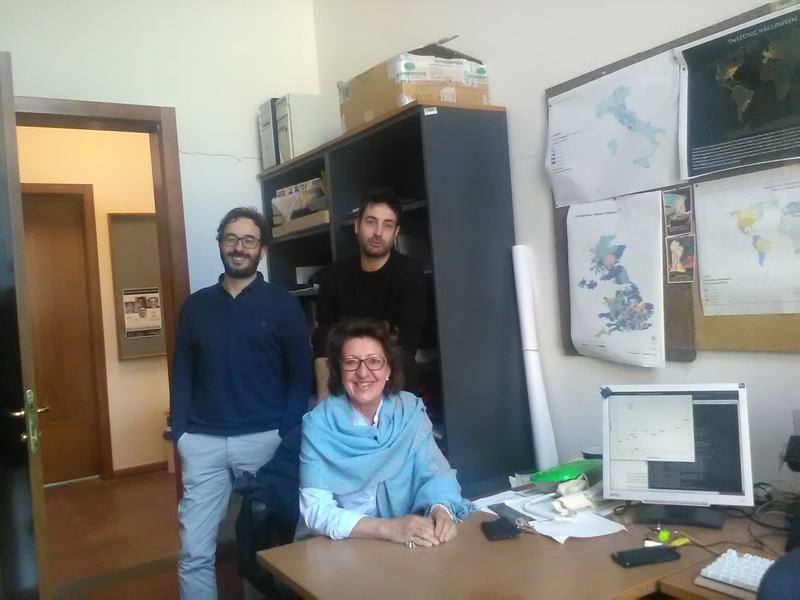 It is my great pleasure, to introduce our colleagues at the Laboratory of socio-geographical research of the University of Siena, as our “GeoForAll” lab of the month. The University of Siena is one of the most ancient Italian Universities, founded in 1240. LADEST is the Laboratory of socio-geographical research of the University of Siena, based in the Department of Social, Political and Cognitive Sciences. The laboratory specialises in data collection and spatial analysis, Geographical Information Science, and territorial data mapping. Since the area of geography is a cornerstone of the activities, the expertise of LADEST – which includes volunteered geographic information (VGI), user-generated content (UGC), semantic analysis, photo-sharing, social networks dynamics, data mining and GIS based data visualization – will benefit the endeavour impacting on different projects. LADEST benefits from international exchanges and recently had two visiting professors namely Georg Gartner (TU Wien) and Claire Ellul (UCL) who have enriched the work done at LADEST with their lectures and citizen science experimentation. In 2011 the University of Siena founded a sustainability network, Nesso (Network Siena Sostenibile) to foster fruitful exchanges with interested parties in order to define sustainable policies and operating solutions and then became a regional centre of the UNSDSN network. So Ladest is also engaged in sustainable development, sustainability indicators, smart cities. LADEST has been the leader of a 4 year COST Action: IC1203 ENERGIC (2012-2016) on the harnessing crowdsourced geographic information from sources to software and methodologies (www.vgibo.eu) ENERGIC developed the “VGI Knowledge Portal”. This Portal provides information about the domain of Volunteered Geo-Information (VGI) by presenting its relevant concepts, products and their relationships. As the portal is a Wiki, it is used both to browse and to edit its page content. The effect of airBnB in urban disneyfication process ( see http://ladestlab.it/maps/70/airbnbscapes , http://ladestlab.it/maps/68/the-airification-of-cities) citizen science and, territorial marketing and environmental monitoring. A permanent Observatory on the use of Twitter platform by the Italian municipalities in collaboration with Twitter and ANCI (Associazione Nazionale Comuni Italiani). 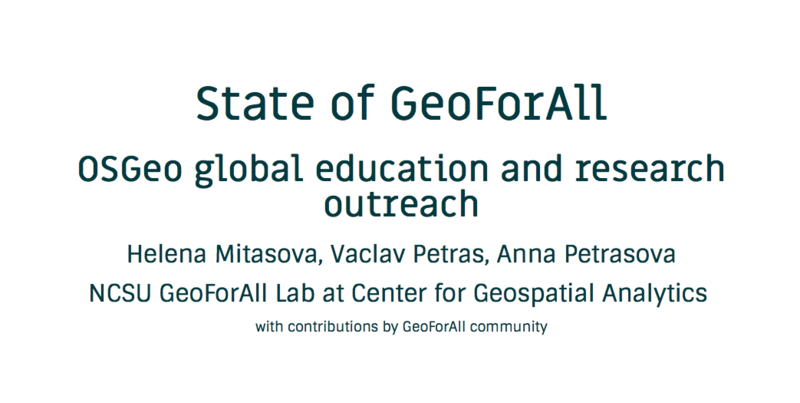 On behalf of the GeoForAll community, we thank Prof. Cristina Capineri and all colleagues from the University of Siena for their contributions to the GeoForAll initiative and look forward to working and building more collaborations with all interested on this education mission.